Walkingthroughthestorm.com (WTTS) collects customer information in an effort to improve our customer’s shopping experience and to communicate with our customers about our products, services and promotions. We collect information such as your name, e-mail and postal address, and credit card numbers that you provide to us when you place an order, when you save your information with us or when you participate in a sweepstakes, promotion or survey. WTTS may use your information collected online to process and fulfill your order. We also collect e-mail addresses at various locations within the site, including when you order from the site, so that we can send you any necessary e-mail messages related to your order – such as an order confirmation notice. In addition, we maintain a record of your product interests, purchases and other information that might enable us to enhance and personalize your shopping experience. We also monitor site use and traffic patterns to improve our web site design and the products and services we offer. WTTS recognizes that it must maintain and use customer information responsibly. WTTS will not rent or sell your e-mail address for any reason. WTTS shares information you provide to us when you participate in a sweepstakes with those companies with whom we have joined to offer these promotions. We may disclose information about you as required by law. We do not share credit card information with third parties except for the purpose of processing payment for products you’ve ordered and as required by law. When a visitor gives us their e-mail address, or sends us e-mail correspondence, we retain their e-mail address. We do not share our e-mail lists with third parties for marketing purposes. We use e-mail addresses to communicate with you regarding your orders and other matters regarding transactions between us or your customer relationship with us. We may also use your e-mail address to share information about WTTS products and services that may be of interest to you. You may opt-out of receiving such promotional messages from us at any time. If we do send you a promotional e-mail, you will be given the opportunity to decline receiving similar e-mails in the future. WTTS does not have arrangements with any ad server companies for this web site. The children’s online privacy protection act took effect April 21, 2000 and pertains to web sites directed toward children under 13 years of age. 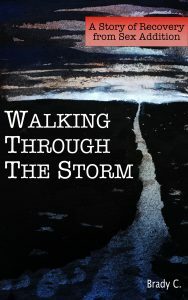 Walkingthroughthestorm.com does not collect information on any person under 13 years. We ask that children do not submit information to us without the consent of a parent or guardian. When ordering with us, we want our customers to feel confident that their personal information and credit card data is completely safe. On Walkingthroughthestorm.com, we use industry-standard encryption technologies when transferring and receiving customer data exchanged with our site server. We employ 256-bit secure sockets layer (ssl) technology that safely encrypts all of your private information when placing an order, and guarantees it is sent securely into our systems to be processed.